Rule 1: Fit – Fitting is the most important thing to consider in a suit. Your suit should contour your body, if you want it to look flattering. Consider this: Even the most expensive designer suit can look terrible if it doesn’t fit, while a cheap suit with excellent fitting can pass off as terrific! Rule 2: Pants – Your pants should barely touch the top of your shoes and not pile over them. Also, tailoring your pants a bit short will give you a very distinctive, smart look. Rule 3: Cuffs – When you wear a jacket over your shirt, your shirt cuffs and collar should be exposed about half an inch from the jacket sleeve and jacket collar, respectively. Rule 4: Buttons – Two-button suit jackets are more modern and better fitting than three-button ones. Always leave the bottom button of your jacket undone and unbutton your jacket completely when sitting down. 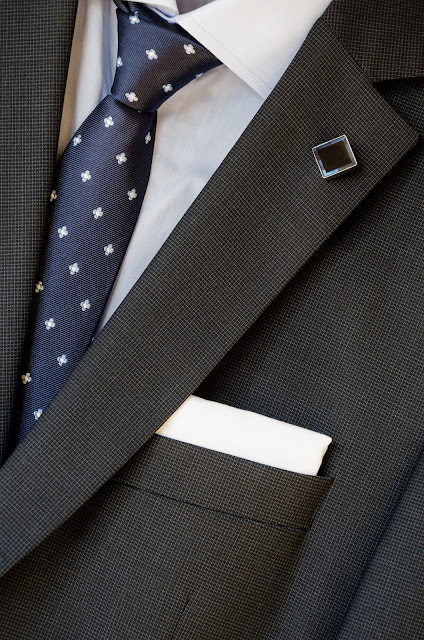 Rule 5: Lapels – Your suit’s lapel adds a definition to your character. Very thin lapels make you look juvenile while overly broad lapels give you an old-school or gangster look. Medium-sized lapels are more contemporary and business-like. Rule 6: Tacks – When you purchase a new suit, remove the tack stitches from the jacket’s pockets and vents before wearing. If the jacket comes with a label on the sleeve, it should also be carefully removed. Rule 7: Vents – Suit Jackets should either have double / side vents, or a single / centre vent. Double vented suits are more distinguishing. They also give more character to your backside. Rule 8: Care – Do not to take your suit to the laundry frequently. This wears the fabric out quickly. Air the suit for some time before putting it into your closet after each wear. Awesome post. I also encourage you to view this page.